The metabolism of certain amino acids is known, or has the possibility, to release amino acid derivatives that are toxic to the host animal. The formation of 3-hydroxy-4(lH)-pyridone (DHP) from mimosine and of 3-methylindole from tryptophan are the principal reactions that are known to exist and potentially be hazardous. The mimosine story is one of the most celebrated in rumen microbiology (see Chapters 4 and 7). Mimosine is an amino acid not found in protein but present in some plant materials, notably Leucaena leucocephala, a tropical leguminous shrub. It is hydrolysed in the rumen to form DHP, which is a potent goitrogen (Hegarty et al., 1976). If bacteria which degrade DHP further are not present in the rumen, as was the case in Australia (Jones and Megarrity, 1986), toxicity resulting from the consumption of Leucaena is severe. The success for microbiology was to inoculate animals with a flora containing the organisms able to metabolize DHP; toxicity was avoided in inoculated animals (Allison et al, 1990; Hammond, 1995). The bacterium responsible was named Synergistes jonesii (Allison et al., 1992). 3-Methylindole formation from tryptophan is also the consequence of the action of a single organism, in this case a Lactobacillus sp. (Yokoyama et al., 1977). 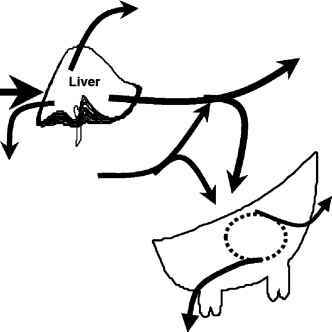 A high tryptophan intake can lead to the accumulation of 3-methylindole (skatole) in the rumen, which causes 'fog fever', pulmonary emphysema and oedema (Hammond et al., 1978). The ionophore, monensin, kills the Lactobacillus and thereby decreases the incidence of the disease (Hammond et al., 1978). Another possible effect on the host animal, not yet confirmed, may arise from the breakdown of lysine by rumen protozoa, to form pipecolic acid (Onodera and Kandatsu, 1974). Pipecolic acid has effects on animal behaviour via its action in the brain (Takagi et al., 2001).